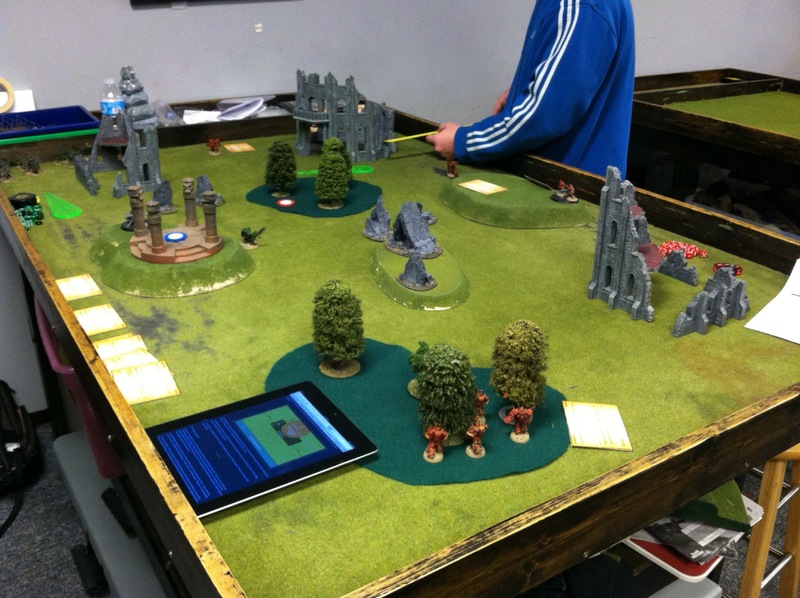 I went over to Games 2D4 this afternoon and played a test game with ScottyDon't, who's an old 40K hand. I gave him the choice between Exfiltration and Bridgehead as missions, and he chose Bridgehead. We decided that I probably needed 2 units deployed on-table instead of one (Probably the Commander + 1 more). Plus the units coming through the portal really need to be able to fire on the same turn they come on. So I'll just re-write it so that arriving units are just performing either an Advance or an At The Double order. The Defender may need some sandbags for his single deployed on-table unit too. To keep them from being automatically shot off the table. We did manage to have some Close-Combat. With both of us deciding that Suppression Markers shouldn't be removed in Close Combat for successful Ld rolls.